A person or corporation that owns a rental property and rents some or all of it to someone else. Building or property managers who stand in the place of the owners are also consider landlords under the law. FAQ - I live in an illegal secondary suite. Is this a reason for breaking my lease? FAQ - How often can my landlord increase my rent? FAQ – I live with my landlord and we keep arguing about everything. What can I do? Please note CPLEA does not provide legal advice or legal representation. For publication and resource requests, click here. This website provides legal information for Alberta law only. It does not provide legal advice. Laws may be different in other provinces. CPLEA does not guarantee the accuracy of Google Translate. Read the full Disclaimer. Copyright 2019 Legal Resource Centre of Alberta. All rights reserved. Read the full Copyright Statement. FAQ – If the landlord makes an application against the tenant, will the tenant find out? 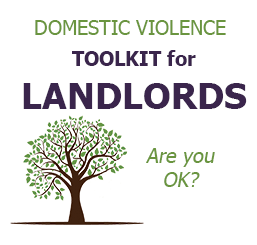 FAQ – Who can help a landlord or tenant to prepare for a hearing? FAQ – What can I do if I have a problem with my roommate? FAQ – Can I be fined and/or evicted because I live in an illegal suite? FAQ – Can I get an emotional support animal even though my landlord says no pets are allowed? FAQ – How do I know if I live in an illegal secondary suite? FAQ – How often can my landlord increase my rent? FAQ – I live in an illegal secondary suite. Is this a reason for breaking my lease? FAQ – I put a security deposit on a house and signed the lease agreement. My landlord called me today and said that I am not able to take possession of the house. Is this illegal? FAQ – I rent out an illegal secondary suite in my house. Can I be penalized for doing this? FAQ – I suspect that my landlord is in financial trouble and might be going through a foreclosure. What can I do? FAQ – I’ve heard that condominium boards can evict tenants. Is that true? FAQ – Now that recreational cannabis is legal in Canada, can landlords still restrict its use in rental properties? FAQ – One of my roommates is moving out and we don’t have anyone new to move in right away. Is he still responsible for his share of the rent? FAQ – Where can I find more information on illegal secondary suites? FAQ – Who is responsible for utility payments? FAQ – Can the inspection report be changed if the tenant notices something wrong after signing it? FAQ – Do tenants have to attend the inspection? FAQ – What can happen if an inspection report was not completed? FAQ – What does an inspection report look like? FAQ – What happens if a tenant does not show up for the inspection? FAQ – What should a tenant look for at a move-in inspection? FAQ – Who should keep a copy of the inspection report? FAQ – Can the landlord or tenant ever “break the lease”? FAQ – Can the landlord require a tenant to provide proof of insurance as a condition of the lease? FAQ – Does everyone who is living in the property have to be named on the lease? FAQ – Does the lease have to be in writing? FAQ – I’m thinking of co-signing a lease but won’t be living in the rental property. What are my obligations as a co-signor? FAQ – My neighbor is paying less rent than I am even though we are renting similar units. Can I ask my landlord to lower my rent? FAQ – What can be included in the lease? FAQ – What happens at the end of a fixed term lease? FAQ – A tenant did not move into a property but already paid an application fee to the landlord. Can the landlord keep the money? FAQ – Are laws about renting the same across Canada? FAQ – How do tenants know if the Residential Tenancies Act applies to their situation? FAQ – What actions can be taken if a landlord or tenant is breaking the law? FAQ – What happens if the terms of the lease contradict the Residential Tenancies Act? FAQ – Will the Residential Tenancies Act rules be written in the lease? FAQ – Can a tenant be evicted in the winter months? FAQ – Can the landlord change the locks? FAQ – What happens if the tenant does not object and does not move? FAQ – The lease says that no pets are allowed. Is this legal? FAQ – Can the tenant refuse to allow the landlord to enter the property? FAQ – How often can a landlord enter the property? FAQ – If the property is being sold, does the realtor have to provide a Notice of Entry? FAQ – What if the landlord did not provide a Notice of Entry? FAQ – Does the tenant have to be personally served with the Notice of Landlord? FAQ – If the property is sold, when does a new landlord have to provide the Notice of Landlord? FAQ – What if the landlord has not provided a Notice of Landlord? FAQ – How much can a landlord increase rent? FAQ – What happens if the Notice of Rent Increase does not include all of the required information? FAQ – What if the tenant cannot afford to pay the increased rent? FAQ – Can the tenant move before the notice takes effect? FAQ – What if the landlord does not give the proper amount of notice? FAQ – What if the landlord does not use the property for the reason stated in the notice? FAQ – What happens if the tenant does not give the proper amount of notice? FAQ – What can the tenant do if the landlord has done something wrong that is not a substantial breach? FAQ – Can a repair person enter the property without the tenant being present? FAQ – Can a tenant stop paying rent while waiting for repairs to be done? FAQ – Does a landlord have to give the tenant notice before making repairs? FAQ – Does the landlord have to paint between tenants? FAQ – If a tenant completes repairs, can he or she bill the landlord? FAQ – Is a landlord allowed to make frequent and disruptive repairs? FAQ – What are the Minimum Housing and Health Standards? FAQ – What can a tenant do if the landlord won’t fix anything? FAQ – Who is responsible to treat bugs in a rental property? FAQ – Can a landlord increase the rent at any time? FAQ – Can a landlord or tenant change the lease without the other’s consent? FAQ – Can a tenant have guests? FAQ – Can a tenant refuse to pay rent? FAQ – Do tenants have to tell the landlord if they are going on vacation? FAQ – Does a landlord have to do something about loud tenants? FAQ – Does a landlord have to provide the tenants with contact information? FAQ – Does a landlord have to tell tenants if the property is being foreclosed? FAQ – Does a landlord have to tell tenants if the property is sold? FAQ – What are offences under the Residential Tenancies Act? FAQ – What if a tenant breaks a rule in the lease? FAQ – When can a landlord enter the tenant’s rental unit? FAQ – Why can a tenant be evicted? FAQ – Does each roommate need to sign the lease? FAQ – How many people can live in a house or apartment? FAQ – If a roommate has not signed the lease, are they still responsible for conditions in the lease like shoveling snow? FAQ – If a roommate moves out does the landlord have to return part of the security deposit? FAQ – Should the original tenant and new tenant (subtenant) sign a written agreement? FAQ – What are reasonable grounds for a landlord to refuse to sublet or assignment? FAQ – When a property is sublet, does the original tenant still pay rent to the landlord? FAQ – Who can evict a subtenant? FAQ – Can a landlord ask for extra money if a tenant causes damage that costs more than the security deposit? FAQ – Can a landlord charge a non-refundable pet fee and a security deposit? FAQ – Can a landlord deduct carpet cleaning or painting expenses from the security deposit? FAQ – Can a landlord keep the security deposit if inspection reports were not completed? FAQ – Can a tenant pay the security deposit in installments? FAQ – If two tenants rent an apartment together and one of them moves out, does the landlord need to return half of the security deposit? FAQ – What can a tenant do if the landlord does not provide the security deposit? FAQ – What is the maximum amount a landlord can ask for a security deposit? FAQ – What should tenants do if they don’t agree with the deductions? FAQ – Who sets the interest rate for security deposits and when must the interest be paid?